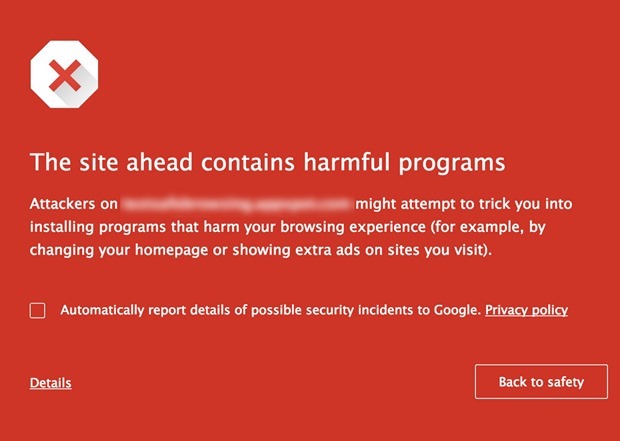 Google Updates SafeBrowsing Service, Users Will Now Be Clearly Warned Of Malicious Content! Google has now updated their SafeBrowsing service to protect users from malicious content and viruses. As per the new update, Google Chrome users will now receive a warning before entering a website which may contain harmful malwares and viruses or which can download such software into the user’s browser. Once the test is conducted, Google will clearly let user know the details of whether a site was infected or had malicious software on the site in last 90 days! Google SafeBrowsing is a service initiated by Google since 2008, wherein all websites which have malicious content, virus and malware are included in a list, which is used by all browsers to warn their users against clicking these websites. Besides Chrome, Apple’s Safari, Firefox Mozilla, Opera also use this list of URLs and safeguard their users. Infact, Google provides an opensource API to access the list of URLs under Google SafeBrowsing, which can be used by software developers and website browsers to check the safety and integrity of all websites. Google has published a comprehensive whitepaper on the subject of user’s privacy protection and the steps initiated to protect it. In a related news, Indian Government officials announced last week, that they would be working with Google to fight cyber criminals and to make Internet a safe place for all users. Google with aid from MyGov department will initiate workshops, educational programs, campaigns and courses which will create awareness about Internet safety hazards, viruses, malwares and will educate on how to fight against these menaces.